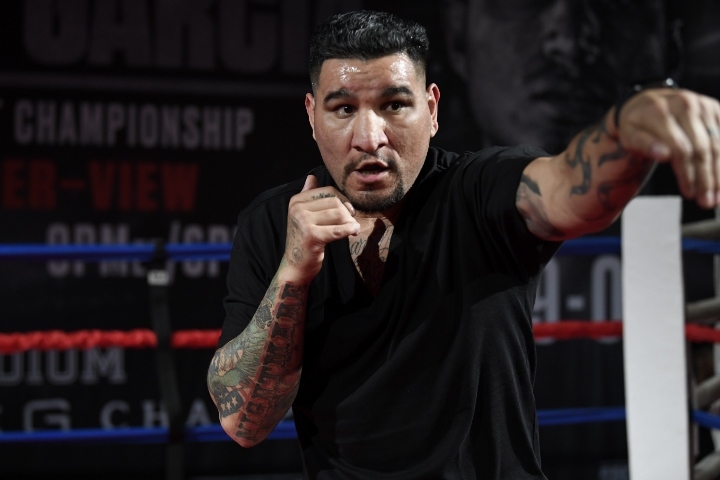 ARLINGTON, Texas – Chris Arreola produced a win Saturday night that’ll likely land him at least one more meaningful fight. The two-time heavyweight championship challenger needed less than three rounds to stop unbeaten but untested Jean Pierre Augustin. Arreola knocked down Augustin once in the third round. Augustin got up, but Arreola hurt him again. Referee Neal Young stepped in to stop their scheduled 10-rounder at 2:03 of the third round. The 38-year-old Arreola’s victory was the first of three fights FOX Sports aired as part Errol Spence Jr.-Mikey Garcia pay-per-view undercard from the Dallas Cowboys’ AT&T Stadium. Arreola, of Riverside, California, improved to 38-5-1 (2 NC) and recorded his 33rd knockout. The 31-year-old Augustin, of Au Cayes, Haiti, fell to 17-1-1, 12 KOs. Arreola buckled Augustin’s knees by cracking him with a jarring jab about eight seconds into the third round. Augustin tried to hold and survive, but Arreola eventually floored him after connecting with a left hook while Augustin was backed into a neutral corner. A disoriented Augustin got to his feet. Arreola knew the end was near, however, and pounced on his vulnerable opponent. Arreola’s ensuing onslaught caused Young to jump between them and prevent Augustin from taking unnecessary punishment. Arreola pressured Augustin throughout the second round and landed his right hand regularly. Augustin caught Arreola with a few straight lefts in that round and bloodied Arreola’s nose. Augustin caught Arreola with several left hands as Arreola moved forward, with his hands down, during the first round. Augustin fell to the canvas with 33 seconds to go in the first round, but it was the result of a push.